Hey readers! 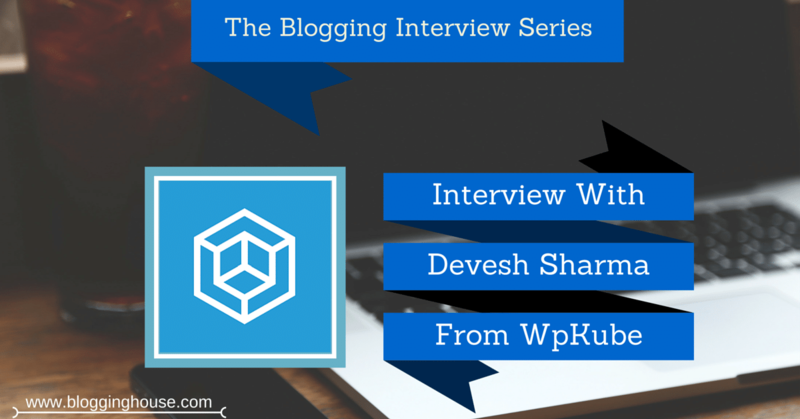 This is another interview in the blogging interview series. 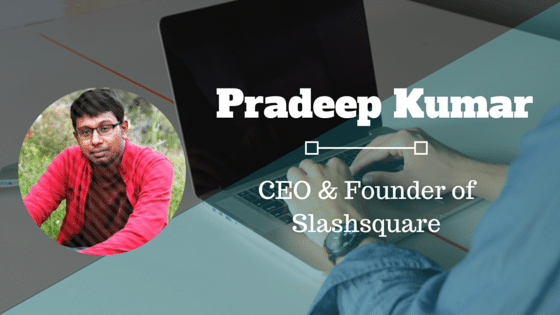 This time, we invited a great mind which is the inspiration of every newbie blogger. In fact, this blogger is one of the top bloggers in the world. This is the interview with Adam Connell. Adam Connell is one of the most inspiring bloggers. When I created my list of Top 100 Triberr Bloggers then I ranked Adam in the top 10 of the list. 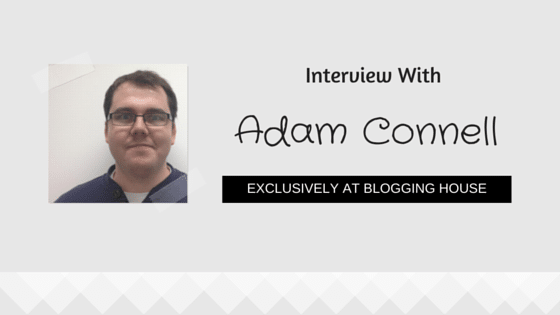 In this interview, I would ask some interesting questions to Adam about his blogging journey. Hi Adam, welcome to this Blogging Interview. Glad to see you here. First, please describe yourself. Hi Abdul, thanks for inviting me to do this interview! I’m the founder of Blogging Wizard, where I help bloggers take their blog’s to the next level and I’m co-founder of an inbound marketing agency with a focus on SEO called UK Linkology. Aside from being a blogger and marketer, I’m a huge fan of sci-fi (especially Firefly) and I occasionally play a bit of guitar. How did you start blogging? Is it happened by an accident? Good question – it was totally by accident. Back in college, I came up with the crazy idea of starting my own record label. I quite honestly don’t know why I thought I could turn it into a legit business idea. Turns out that it was very difficult and it was my first business failure. But, I didn’t want my efforts to be completely wasted so I turned the record label into a “netlabel”. It’s the same concept as open source software, but for music. I discussed the concept of releasing our music for free with the other artists on my label. We all agreed and so I built a new website and began researching how to market their music. I built the website from scratch with HTML and after the 3rd version, I came to the conclusion I needed something better. Something that wouldn’t require so much time and the solution I found was WordPress. It was primarily a blogging platform at the time, so I started publishing new releases on the blog. We quickly started to gain traction. This was partly due to the promotion work I was doing, and the fact we were gaining blog subscribers who were coming back for new music every so often. I eventually shut the label down, but we got to over 60 releases and had almost 3 million downloads – some of the albums are still available on the web today. So, blogging when I first started was just a means to an end – an easy way to share new music with my label’s followers. But it made me realize what was possible with a blog. Before that happened I always thought it was nothing more than an online journal – mostly that’s how my friends were using it at the time. Who were your mentors in your start of blogging? I’ve never had a blogging mentor as such. I read a lot of blogs in the early days such as Ileane Smith’s Basic Blog Tips and Ana Hoffman’s Traffic Generation Cafe. But who made the most difference? Jason Brooks (founder of UK Linkology) – he was the one who gave me a job in marketing when I had no qualifications. I’d built a few blogs and had been learning a lot and that experience got me through the door. Jason’s always pushed me to learn more about myself and become a better marketer – I can count the people who helped me get to where I am now on one hand, and Jason is one of them. If I give you $500, then how would you invest them for your blog? I’d likely invest part of it into content creation – mostly into design elements such as images. The rest I’d put into testing FB ads to build my email list. If you got a lot of money (something like $1,00,000) then would you leave blogging? It’s doubtful – I may change certain elements of my blog. Possibly spend a bit more time on vacation than I currently do or spend a bit less time blogging. But, I’m not sure what I’d actually want to do instead. I love what I do, and while it’s helping me create the lifestyle I’ve always wanted to, I get a lot of satisfaction from helping others. SEO – If anyone tells you SEO is dead, ignore them. It’s not, it’s just evolved. Social – It’s getting harder and harder to drive traffic from social, but it’s still a key traffic driver for me. It’s mostly Facebook and Twitter traffic right now, I’ll be focusing more on Pinterest soon. Niche communities – These are a goldmine and proving to be even more influential when it comes to traffic. But, it all depends on finding the right communities. But the truth is that there are a huge number of ways to drive traffic to your blog. I explain 36 of them in this post. I have seen that many bloggers say “You should not share all the info with your readers”, what’s your views? There’s a lot of debate that is still going on around this very question. I can see the reasoning behind both why you should and why you shouldn’t “give away the farm”. One of the biggest reasons not to do it is because if you’re selling information, how can you sell information if you’re giving it away? And it’s a good point. If you’re selling a course on web development and you blog about web development – surely you’d reach a point where all of your course material will be on your blog? Some people would definitely prefer to not pay for information they can get for free, but the reality is that people will get a lot of benefit from finding all of that information in one place. The difference between reading blog posts and a course is how the information is structured. If someone gives all the information for free, you have to find it. You have to figure out how all the pieces fit together and if you don’t understand the topic, that’s REALLY difficult to do. So, when someone releases a course, you’ll know exactly what to do and when to do it. More importantly, you’ll know how everything fits together. That said, It’s easy for someone to say “you should do it this way…”, but the truth is that everyone will have their own unique and individual circumstances. They’ll have different goals and a different vision. So what’s right for one person, may not be right for another. The key is to figure out the pro’s and con’s to both options and make an educated decision that is tailored to you. Tell us three of your favorite tools (which you use for your blog). Thrive Leads – hands down, this is the most feature packed list building plugin on the market. Ahrefs – I used to use this mostly for backlink analysis, but it’s had a lot of features added recently. I now use it a lot for competitor research and keyword research. Traffic Planet Hosting – web hosting is the foundation of any blog. Without a decent host, you’ll run into issues. TPH is only a small web host but thanks to them (and some extra help from MaxCDN), my sites load pretty quick despite not doing much work on optimization. They also reply to most support tickets within 10-20 minutes. According to you, what is the best way to make money with a blog? It depends on a few factors. The main one being your niche – some niches are really difficult to make money in. Offer your blogging skills as a service and become a freelance blogger. If you can run a blog, chances are that someone will pay you to work on their blog. You could write for them, help them with technical tasks, manage social media, handle email marketing and anything else that goes into running a successful blog. You don’t need much traffic and you can get started VERY fast. For example, Elna Cain was able to go from working full-time to earning a full-time living from part-time blogging. And it all happened within 6 months. And I’ve seen a bunch of other writers go from 0 to full-time in a similar amount of time. One of them decided on a topic (WordPress), and sent pitches to all the top sites in the niche offering his services. His clients now include 10 of the main sites in his niche, and he’s maintained his client base after doubling his rates. How “Blogging House” readers can be connected with you? Thanks for reading and thank you Abdul, for inviting me to be interviewed. The best way to connect is by joining my email list at BloggingWizard.com, but you can also follow me on Twitter or connect on Facebook. Thanks Adam for sparing your time to join this interview. 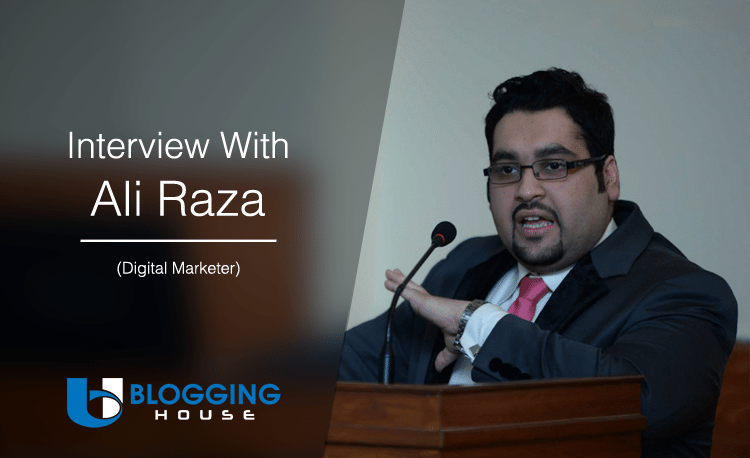 Thanks for asking me to do this interview, and allowing me to share my experiences with your readers. Thanks for this awesome interview. I enjoyed every bit if what Adam said. It’s not good to give your readers everything, except if you are already making enough money to sustain your business with Affiliate marketing, others, reserve some to bought. That’s my take.